More and more metal homes are popping up on every street. With recent advancements in exterior and interior design, you may not even recognize that the house built next door to you is made of steel. Metal home kits are great for first-time homeowners or those looking for a greener, more cost-efficient alternative. 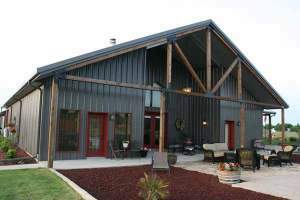 A throwback to the days of ordering a home through a Sears catalog and having it shipped by train, pre-engineered steel buildings are a convenient and cost-effective alternative to traditional lumber construction. As a matter of fact, in 1993, when lumber prices more than doubled in the U.S. and the residential construction industry felt a rising panic, they searched for alternative building material. Steel was the solution then, and today, steel continues to be the best alternative for high-quality yet low-cost residential building projects. So why are more and more homeowners opting for these steel dwellings? There are numerous benefits to owning a steel home, one of the forefront reasons being the cost. Nine times out of ten when someone considers buying a house the very first thought that crosses that person’s mind is money. How much can I afford? For this reason, steel buildings are becoming most buyers first choice right up front. Not only are steel buildings quicker and more convenient to build, but they are also cheaper and easier to maintain. Unlike other building options, steel is most often thought of as a one-time cost. 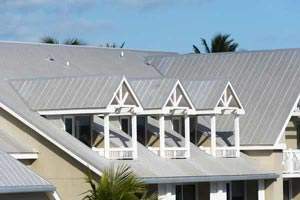 Steel is highly durable even under the most extreme circumstances and rarely need any repairs or maintenance making the cost of keeping a steel house almost non-existent. This durability is often the second reason homeowners have discovered pre-engineered buildings are among the best options. Steel is impervious to many extreme weather conditions and is designed to survive for decades to come. Prefabricated metal homes are manufactured offsite, to your exact specifications, and then shipped directly to you. Due to precise manufacturing processes, you don’t have to worry about having expensive excess material and construction delays, simply follow the instructions and assemble the perfectly synchronized parts. There’s no having to compensate for wood’s imperfections. Construction Flexibility: You can design your building to be any size, from just 500 square feet all the way up to over 12,000 square feet. You can also build on a slab, over a basement or on a pier or beam. Wide, Open Space: Metal buildings are clear-span by design, so no inconvenient columns or support beams are required – this means you can have wide-open interiors that range from 30 feet to a whopping 120 feet wide! 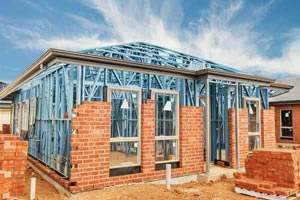 Construction Speed and Convenience: Another major benefit of prefabricated structures is metal kits allow you to quickly and easily build your house yourself. Steel possesses the highest strength to weight ratio of any building material available today. That’s why 80% of all commercial buildings are constructed with steel as the primary building material. Precision Engineering: Metal studs and joists are strong and lightweight, and walls are completely straight, eliminating the problem of fixing pops in drywall. Also, unlike wood frames which can warp or crack or settle, steel stays straight and true, which means no costly air leaks or energy loss in your new home. Energy Savings: metal houses are as much as 40% more energy efficient than wood-framed homes. The reason? These dwellings offer more space for insulation – including enough room for 9-inch (R-30) insulation in the walls and roof. Most wood residences use much thinner R-11 to R-19 rated insulation. In addition to lowering your energy bills, your new home will also be quieter due to the thicker insulation. The bottom line – you can expect metal houses to last longer & require fewer costly repairs than other construction options. How Much are Metal Home Kits? Pre-engineered steel building manufacturers offer customers the ability to customize their homes with a click of a mouse and purchase a well-designed living space at a price they can afford. In addition to typical A-Frame homes, steel home kits are also available in the form of Quonset hut buildings. You would be forgiven for initially dismissing a Quonset hut home as an option but the designs and customization options have come a long way since the original WWII Nissen hut buildings. Unlike their steel frame counterparts, Quonsets can be erected extremely quickly and with the minimum of technical expertise. 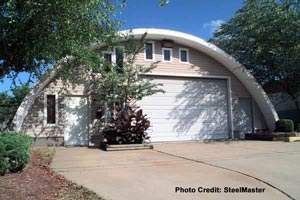 Customization – the ability to customize Quonset homes is one of their major features. End walls can be finished in almost any material (brick, steel, stucco, shingles etc.). Windows and doors can be added to the end walls and skylights can be added across the roof structure. See our Introduction to Quonset Huts and our Quonset Homes pages for more information on this highly affordable housing option. When beginning to plan out your new steel home there are several items you should begin to mull over before purchasing your building. Steel buildings can be soundly placed on a variety of different foundation types so you can choose the best option for you with peace of mind. If you’re not interested in extra storage space or are looking to save a few pennies you may want to consider laying a concrete slab as the foundation for your building, to which your building can be attached by anchor bolts. If you would like more living or storage space, consider building a basement or underground crawl space. Steel buildings can easily be built over such structures using floor joists and anchors. While these options are slightly more expensive they can dramatically increase the square footage in your home and have no impact on the stability of your building. For those looking for even more storage space or looking for shelter for their cars consider attaching garage space to your home. Garages and other storage buildings can be added on after your home is built, but incorporating them into your original design adds more stability for both buildings. When planning the dimensions of your rooms and house be sure to incorporate insulation into the measurements. While insulation usually does not take up too much room if you live in a colder climate or need to block out a lot of exterior noise your insulation can get up to 1 foot thick. When choosing the right insulation for your building consider purchasing insulation that will provide some noise control. Outside sounds and weather may sound louder when reverberating off of steel walls and roofing panels so look into insulation with noise canceling properties. BuildingsGuide represents a number of metal building manufacturers who can design and specify a building for your chosen location. They can supply the building package including framing, roof trusses, roofing/siding along with doors & windows. You will need to hire a local general contractor to finish the interior of your new home. Modern, metal prefab homes are a far cry from the original WWII era prefab homes. Today’s buildings are designed and manufactured with state-of-the-art CAD/CAM equipment in dedicated factories. This equates to extremely accurate components and reduced material waste. The design process begins with 3D modeling to plan building supports and weight distribution as well as the structural integrity of the building. Once the design has been approved by the builder and any safety committees the home is sent to production and the components are engineered in the steel factory. These steel pieces along with all structural supports and additional accessories are what will arrive at your building site where the construction process will take place. On average it takes two to three hours to unload a steel building from its delivery truck and then construction can begin. A key benefit to purchasing a steel home is the ease of construction. Buildings can oftentimes be assembled by the homeowners themselves, but for the inexperienced builders, there are also many highly skilled building teams out there who have years of experience in putting together steel structures. Once the building is assembled final accessories are added and in a matter of 3-4 weeks, you have yourself a brand-new home. Compare this to typical construction times of 3-4 months! Finding your dream property is often the most important part of the construction process. But there are several things to consider that could affect the final cost and value of your pre-engineered steel-framed home. – Building Codes and Permits: Each municipality has unique building codes and permit processes. Before you begin construction, visit your local municipal building authority or urban planning department to ensure that all appropriate building permits have been secured. Although prefabricated structures are becoming more common and the trend will only continue to develop, there may still unforeseen obstacles that could arise during construction. – Site Preparation: Before you begin laying out the foundation, you must determine which utilities you will require, such as phone, gas and electric lines. Other considerations include whether you will need a septic tank, a filtering system, or a well. If any trees or boulders need to be removed before you can lay a foundation, you may also need to secure a permit first. What is a metal house? An A-Frame house kit is constructed in a similar way to a conventional wooden house apart from the fact that all the studs and roofing members are manufactured steel components that bolt together. How much does a metal house cost? What’s included in a metal home kit? All building components are included from, steel framing, roof members, metal siding and roofing materials. Also included are all necessary fasteners and anchor bolts. 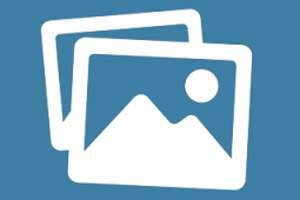 You will need to specify accessories such as windows, doors, and skylights. Detailed plans and assembly instructions are also part of the package. Can a steel home have a basement? How many levels can the house have? 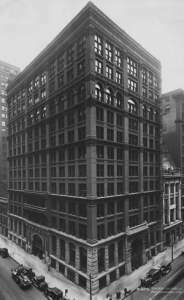 Steel was introduced as a building material in the mid-1880s in Chicago as the Home Insurance Building was constructed. For the first time, architects decided to opt for a steel structure over the traditional stone based structure. The city of Chicago was skeptical and a special team was brought in to investigate the strength and stability of the structure, but upon completing the inspection it was found that steel was drastically more durable than any other material on the market. Since 1880 steel has popped up in an increasing number of structures, making its way from skyscrapers to commercial buildings to personal residences and more and more people are experiencing first-hand the benefits to building with steel and the highly competitive nature of steel building prices. For more background & history see our introduction to prefab homes page. Metal Frame Homes Have Come a Long Way Since They First Arrived on the Market During the California Gold Rush of 1848!